• There are few things in life that are as certain as taxes, especially when it comes to buying, selling and owning real estate. Property taxes have a timeline that is different than most other taxes or bills that we pay. IF, LIKE ME, you sought out an older home for its character—forgoing the conveniences of new construction—you may be paying an aesthetic price for keeping warm this winter, thanks to clunky, antiquated radiators. Be they hydronic (hot water), steam or electric, these heaters are rarely pretty. 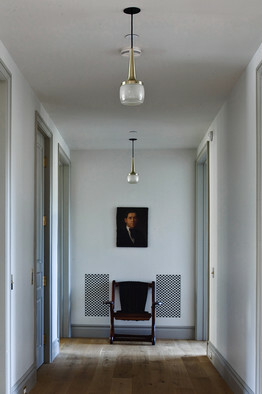 My own recently purchased abode, a 1970s French country-style house in Mendham, N.J., came equipped with the bête noire of radiators, the truly unignorable baseboard variety that snakes along a wall in every room. I considered switching to forced air heat, but such an overhaul can be forbiddingly costly and forced air has its negatives, too: It produces the driest heat, a curse in wintertime when our skin is already cracking, and the constant bluster sends dust and allergens whirling through the air. Casting my loyalties with radiant heat, I set out on a mission to find out how other people are camouflaging eyesore radiators, and whether more palatable alternatives exist. 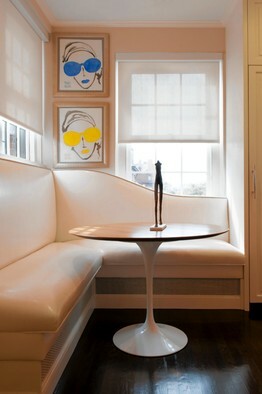 Some interior designers, like Manhattanite Alexa Hampton, enlist custom paneling to hide conventional wall radiators. Ms. Hampton installs wainscoting around the room, incorporating heating covers that, she said, "seem like just one more piece of the millwork and disappear." Under windows where there are no radiators, designers will often replicate the covers for continuity, modifying them so they work as storage. 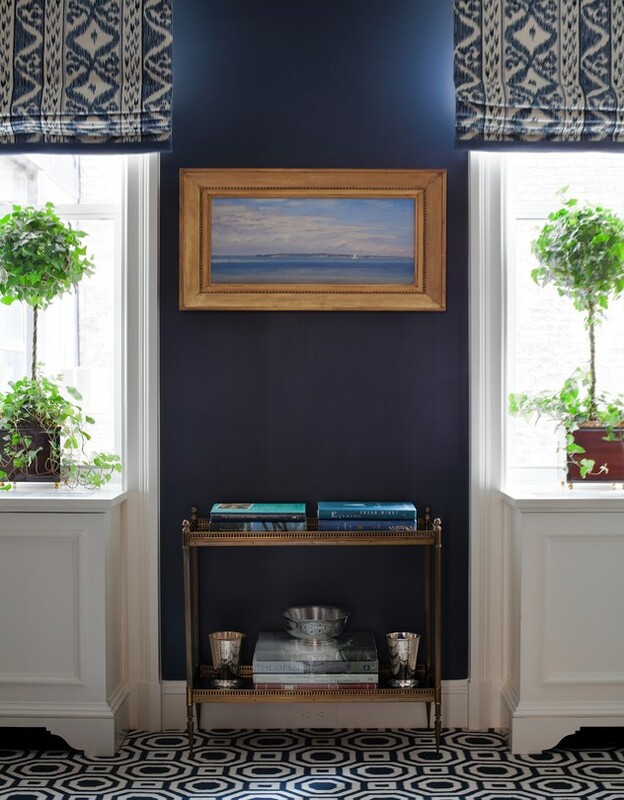 For a ready-made, albeit less seamless solution, the Holland, N.Y.-based company Fichman fabricates stand-alone radiator covers starting at $149. They can be customized to your specifications and delivered nationally in four to six weeks. Other designers obscure radiators by building them into banquette seating equipped with air vents or by setting up screens. Vicente Wolf, who works out of New York, has constructed low folding screens on several occasions, while Washington, D.C.-based Darryl Carter has artfully adapted window shutters to do the honors. 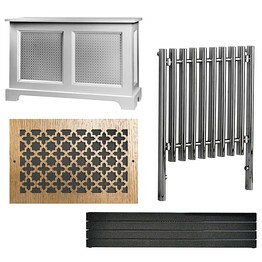 According to Mr. Wolf, while radiator covers can make a room feel smaller, a screen can be "a less obtrusive element." Of course, some homeowners just choose to replace regrettable radiators with sleeker Euro-versions. Hudson Reed, a British firm with an American e-commerce website, sells powder-coated steel models that are elegantly compact, some with a depth under 3 inches. The radiators comply with American standards and arrive in three to five days with free shipping. Runtal North America, the U.S. branch of a Swiss firm, offers equally thin panel models; both companies supply radiators that double as towel warmers for a clever upgrade in the bathroom. Strategies for concealing baseboard radiators, which often run a wall's entire length, are relatively limited. Water-based models like mine can be recessed into the wall and the pros and cons of doing so are hotly debated. I decided to experiment, recessing my bedroom's radiator before committing to this expensive tactic throughout the house, and it's worked out brilliantly; I'm both warm and untormented by ugliness (at least until I leave the bedroom). For the sake of airflow, allow for a 2-inch gap around the perimeter of the unit; lining the cavity with a heat-reflector panel isn't a bad idea, either. To cover the opening, I commissioned laser-cut wooden grilles from Pattern Cut, an Anaheim, Calif., company. It offers 26 styles, with custom sizes available—I chose a French Moroccan look that reminded me of French interior designer Jacques Garcia's work. For lengths in excess of four feet, the grilles arrive in pieces so, unless you're the DIY type, have a professional assemble and shop-paint them for a flawless finish. Recessing hydronic baseboard radiators into the floor is another option if you have enough clearance, and it's less involved than retrofitting under-floor radiant heat (heated tubes that run in rows beneath an entire room). "After carving out a niche in the floor and dropping the radiators down," said New York-based designer Eddie Lee, "you can put in wooden grilles stained the same color as the floor so they disappear." While dirt can fall through the grate, the benefits of freeing your wall space may be worth the awkward extra vacuuming. Electric baseboard radiators are the biggest villains of all; they cannot be recessed and require a minimum clearance of 6 inches for fire safety, thwarting efforts to conceal them subtly. In the words of Alexa Hampton, "You either have to let those be or replace them." Danish company Elpan-Wanpan retails minimalist electric and hydronic baseboard radiators through its U.S. distributor but perhaps most exciting for people like myself are the baseboard heaters from Thermodul. Manufactured by Hekos in Italy, they look like traditional molded baseboards. The idea is so simple it's a wonder we Americans haven't thought of it ourselves. Thermodul doesn't have stateside distribution yet but they are equipped to ship direct, and the hydronic version is fully compatible with U.S. systems. When the sample I requested arrived, I was actually giddy. Regional arts professionals were invited to nominate up to three artists on the basis of quality, innovation, relevance to community or global issues, continuity of vision, and dedication to studio practice for award consideration. After reviewing 176 submissions, 28 finalists were selected by Bonnie Laing-Malcolmson, The Arlene and Harold Schnitzer Curator of Northwest Art, and guest advisor, Apsara DiQuinzio, Curator of Modern and Contemporary Art, Berkeley Art Museum. Ms. Laing-Malcolmson conducted studio visits with the finalists to determine this year's six award winners.